A book cover is much more than a pretty picture and a title. It’s a retail package that convinces buyers to spend money. When your prospective buyer asks, “What’s in it for ME?” your cover must provide the answer. Anatomy of a Book Cover is a recording of Michele’s webinar with Brian Jud. She examines best-selling covers and failed covers, and offers tips on how to identify and work with a cover designer who can help you accomplish your sales goals. IngramSpark’s podcast consists of 15-minute episodes discussing self-publishing tips indie authors can apply to enhance their publishing success. 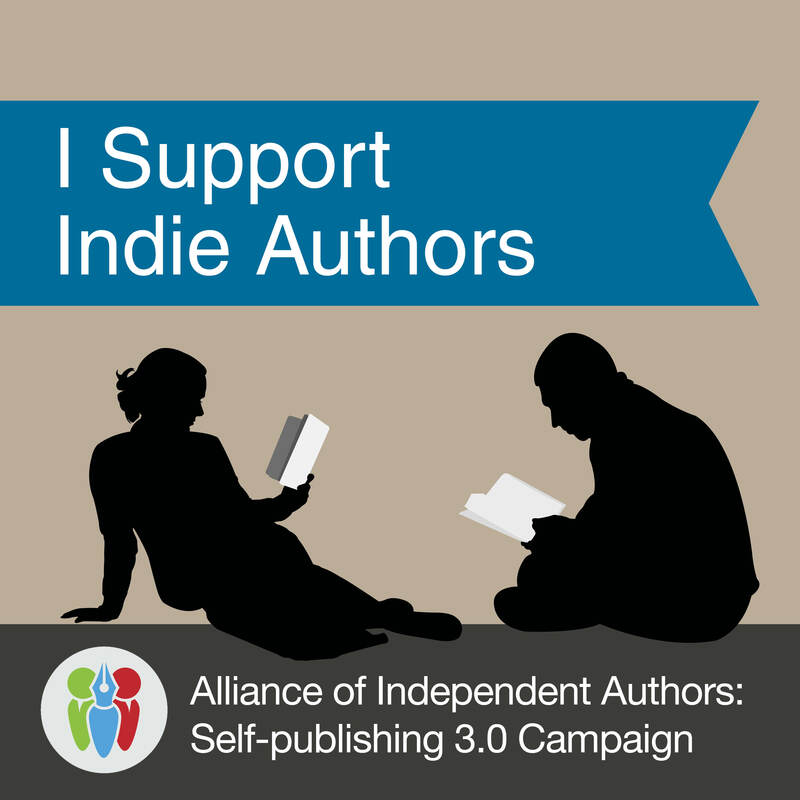 Topics shared cover those that matter most to indie authors and publishers and is intended to be a free resource for publishers around the world. There will be two seasons per year, 12 episodes per season, with one episode releasing every Tuesday during any given season. The podcast is available on all major podcast platforms (including iTunes, Google Play, SoundCloud, and Stitcher) and directly from the IngramSpark website. The Price is Right? Webinar with Brian Jud, Book Marketing Consultant, Executive Director of the Association of Publishers for Special Sales (APSS) and Zorina Alliata, APSS Mid-Atlantic Chapter President. How to price your book to maximize sales, revenue and profits. Originally recorded during the Book Selling University, sponsored by APSS Mid-Atlantic, June 20, 2017. Are you a health provider? If you provide any kind of integrative, holistic or natural health services, writing a book will establish your authority as a thought leader, raise your credibility, and help you build your practice. Becoming an author is the ideal way to “sell without selling” because you will educate people through your book, and you will get motivated patients and clients who come to you because they value your approach. You’ll attract the media, so more people find out about you. You’ll be able to help more people, and leave your footprint on the world. Michele DeFilippo talks book design with business book ghostwriter Derek Lewis on the Behind the Business Book Show. Click here to listen to the podcast. Updated weekly, these tips for independent publishers will help you publish a book that exceeds your goals. Check out The Center for Book Publishing’s website, full of information, guides, and reviews of popular vendors. Both novice self-publishing authors and seasoned professionals alike will find the site informative. Thank you to The Center for their “thumbs up” review of 1106 Design. Click here to visit the site. Michele talks with author Philip Burley about this often confusing subject here. 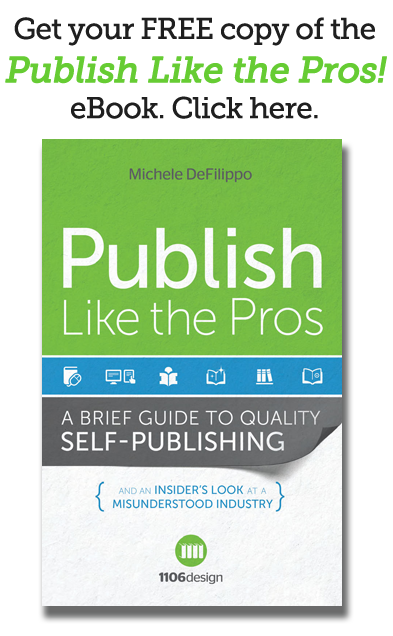 1106 Design answers questions about self-publishing from authors just like you. Click here for the Author Q & A page. Podcasts by Judith Briles, The Book Shepherd, on all aspects of self-publishing. Click here to go to Judith’s podcast page. Click here to download a podcast about contract negotiation and the number one thing you should do before entering a contract — with Michele DeFilippo and Judith Briles. Brand your books to sell online using Metadata: A helpful IngramSpark video with instructions on using metadata — the data that describes your book including the title, author, subject and more — to increase book sales. Seven book marketing trends that no longer work, and what Indie Authors can do instead: An informative article about what works and doesn’t work for book marketing.